Just before taking office, President Donald Trump promised to donate all profits earned from foreign governments back to the U.S. Treasury. But MSNBC has learned the Trump Organization is not tracking all possible payments it receives from foreign governments, according to new admissions by Trump representatives. By failing to track foreign payments it receives, the company will be hard-pressed to meet Trump’s pledge to donate foreign profits and could even increase its legal exposure. The Trump Organization does not "attempt to identify individual travelers who have not specifically identified themselves as being a representative of a foreign government entity," according to a new company pamphlet. The policy suggests that it is up to foreign governments, not Trump hotels, to determine whether they self-report their business. Who's Tracking Foreign Cash Spent at Trump-Owned Hotels? That policy matches what several sources told MSNBC — Trump Organization employees are not soliciting information about whether reservations or business is from a foreign government. Since Trump's election, critics have argued that the complex nature of his businesses opened up vast potential for conflicts of interest both at home and abroad. Of particular concern was the likelihood of foreign governments spending money at Trump properties. The Emoluments Clause in the U.S. Constitution bars foreign gifts to the president, and an open federal case in New York alleges the Trump Organization is in violation of that clause. Back in January, Trump and his team said they did not believe renting a hotel room constituted a violation. Still, Trump pledged to track and donate all profits at his companies from foreign government travel and commerce. Sheri Dillon, an attorney for the Trump Organization, said during a news conference the president-elect had directed that hotel profits from foreign governments would be donated to the U.S. Treasury because "he wants to do more than what the Constitution requires." "President-elect Trump has decided, and we are announcing today, that he is going to voluntarily donate all profits from foreign government payments to his hotels to the United States Treasury," she said. According to the new pamphlet, the Trump Organization does not plan to calculate foreign government profits, but rather to estimate them. "To attempt to individually track and distinctly attribute certain business-related costs as specifically identifiable to a particular customer group is not practical," the pamphlet states. Rep. Elijah Cummings, the top Democrat on the House Oversight Committee, said the policy as written is insufficient. "Under the policy outlined in this pamphlet, foreign governments could provide prohibited emoluments to President Trump, for example through organizations such as RT, the propaganda arm of the Russian government," Cummings wrote in a new letter to the Trump Organization. He received the pamphlet from Trump’s chief compliance counsel. "Those payments would not be tracked in any way and would be hidden from the American public," Cummings added, pressing the Trump Organization to brief Congress on the matter by June 2. Trump Organization spokesperson Amanda Miller said Wednesday in response, "We have received and are in the process of reviewing the letter. We take these matters seriously and are fully committed to complying with all of our legal and ethical obligations." A lawyer involved in the emoluments case against Trump who asked not to be identified said the company’s approach violates the Constitution’s ban on the president receiving foreign gifts. Trump officials have argued there is no legal obligation to rebuff any foreign payments, but said they are donating foreign government profits in an abundance of caution. A Trump representative said that "the pertinent accounting rules" are well understood in the hospitality industry. But experts told MSNBC that there is no standard accounting system to track profits from foreign dignitaries. Most hotels in the United States prepare financial statements in accordance with the Uniform System of Accounts for the Lodging Industry. While the system tracks customers, it does not track guests’ professions. In theory, Trump Hotels could create specialized codes to flag when a foreign diplomat books a room or buys hotel services. "The margins are pretty standard for a hotel," said Joel Feigenheimer, a hospitality professor at Florida International University, so the company could track the profit margin on each foreign government booking. But tracking by accounting code is just one small piece of the pie. Then the companies have to decide how to determine who represents a foreign government. "What is the proof that they are or are not a foreign dignitary?" asked Toni Repetti, an assistant professor at the University of Nevada-Las Vegas Harrah College of Hotel Administration. "How do you know? There’s no universal list." "If someone doesn’t want you to know who they are — whether it’s a government, or a girlfriend or boyfriend who is cheating — you don’t register under your real name," said Feigenheimer. "There’s no reason for these people to register. It is not the Chinese’s problem if they are staying at the Trump hotels." The new Trump policy, however, leaves that reporting up to foreign governments. Who knows who's staying at the hotels? One approach that Trump hotels could use is already employed by many hotel chains — the well-known “government rate” offered for U.S. government employees. The State Department issues diplomats "mission tax exemption cards," which provide a point-of-sale exemption from sales tax on goods and services, including hotel rooms, across the United States. The Trump organization could keep track of foreign government payments based on which guests are using the mission tax exemption card. Jim Abrams, a legal adviser with the California Hotel & Lodging Association, suggested that the Trump Organization post on its hotel websites a notice to foreign dignitaries asking that they notify the hotel if they plan to book a room. That would be the cleanest way to do it," he said. If the Trump Organization has not already started tracking foreign government diplomats who stay at Trump hotels, Repetti predicted that it would be “a nightmare” to gather the information. "It would be almost impossible," she said. "Someone is going to have to come in and go through every single reservation." The Trump Organization’s decision to use estimates could also be practically and legally problematic. The term "profit" can have different meanings, which impacts what the Treasury receives. "[While] net income is defined by generally accepted accounting principles, the term profit is not," said Ralph Miller, co-author of the Uniform System of Accounts for the Lodging Industry. "It’s revenue minus costs, but which costs and at what level and over what period of time?" Abrams also discussed the problem of defining what is "profit." "If I was a cynical person, I’d say they’d take the one measure that puts the least amount of money in the treasury." Another sticking point is how to calculate expenses. Typically, hotels have a wide variety of expenses — such as electricity to keep on the lobby lights, heat for guest rooms, interest payments on loans, property taxes, the hotel chef’s salary, to name just a few of the costs to run the hotel. Depending on how the Trump Organization includes those costs in calculating profit, the size of the donated profits could change significantly. "It’s just very difficult to try and determine in advance what the calculation may look like," Miller said. Ultimately, there may not be any significant donation to the Treasury, said Abrams. There is no uniform data on how many foreign diplomats stay in American hotels annually. However, the American Hotel & Lodging Association reported that in 2014, the latest year for which statistics are available, 74.8 million international travelers came to the United States. The association said that international visitors accounted for about 20 percent of all lodging sales. The average length of stay for overseas hotel visitors was about 10 days. There are many Trump-linked hotels that could scoop up some of that business. Thirty two hotels, resorts and golf clubs bear Trump’s name, including the iconic Mar-a-Lago club, which doubled its initiation fee to $200,000 after Trump won the election. Records show the ownership structure of his resorts and hotels widely varies. In some instances, the Trump Organization licenses Trump's name to developers for a one-time flat fee or for a share of profits. In other instances, his ownership stake in the hotels is hidden under layers of shell companies. In many cases, the Trump Organization receives some profits but is not an owner of the building itself. "He learned his lesson about over-leveraging and a lot of how he invested in real estate was licensing his name to other developers," said Barry LaPides, a partner at Berger Singerman, who practices complex commercial real estate. At Trump Hotel SOHO, the owners of the property, a Los Angeles-based real estate investment group, pay the Trump Organization 5.75 percent of the hotel’s annual operating revenues, according to a report in the New York Daily News. In Chicago, Trump owns a Trump hotel through a series of LLCs (limited liability companies). The LLC agreements are not public. 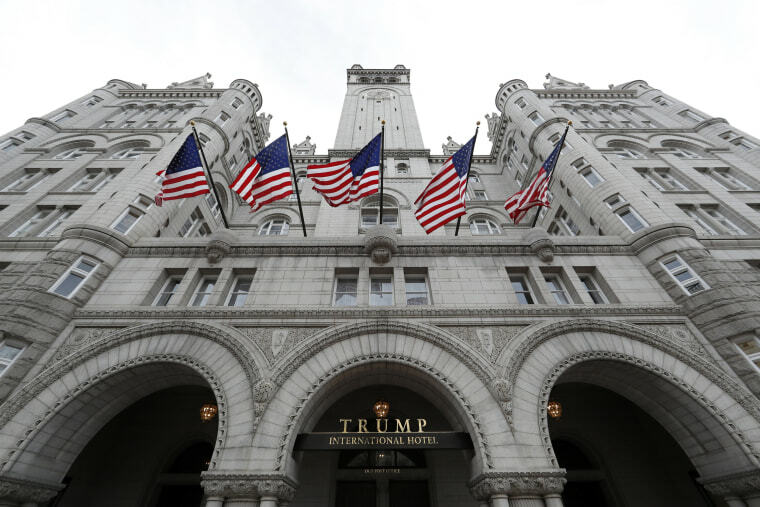 Public reporting, although incomplete, has indicated Trump’s hotel in Washington, D.C., has received business from foreign governments like Bahrain, Kuwait, Azerbaijan and Saudi Arabia. "He knows who is staying here," Libowitz said of Trump. No matter what reasons foreign governments have for doing business with the Trump Organization, no court has ever ruled on whether their commerce amounts to a gift under the Constitution. That is because no president has ever overseen such a large company while in the White House. The Trump Organization's approach may expand its legal liability, adding to headaches in court if a judge finds this foreign commerce is a gift. Or it may not matter, in the end, if courts rule that the Constitution does not require a president to reject this kind of benefit. The next round of the battle over Trump's empire will play out in a federal court in New York, where Trump's critics are asking for a ruling that would prevent his companies from taking not only profits from foreign governments, but any of their business at all. “You don’t get to violate the Constitution and say that you’re only going to address some instances and not others because it’s inconvenient,” said Noah Bookbinder, executive director of Citizens for Responsibility and Ethics in Washington. 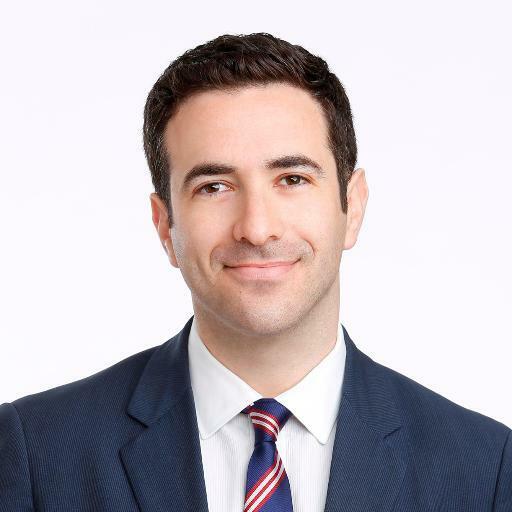 Ari Melber is chief legal correspondent for MSNBC.